Lebanon celebrated 75 years of independence from French colonial rule last Thursday, a day marked by a parade attended by selected invitees. In reality, most Lebanese have little to celebrate when their country is ruled by an organisation whose loyalty rests firmly with the ayatollahs in Qom. As a people, the Lebanese are overwhelmingly joyous, free-spirited and entrepreneurial, attributes that Hassan Nasrallah and his band of fanatics have never succeeded in crushing. There are up to three times as many Lebanese living outside their homeland than those who stayed. Lebanon has been suffering a brain drain for decades. There are thriving Lebanese communities all over the world. Those that remained are survivors who have learnt to make the most of their lives even when circumstances are dire. 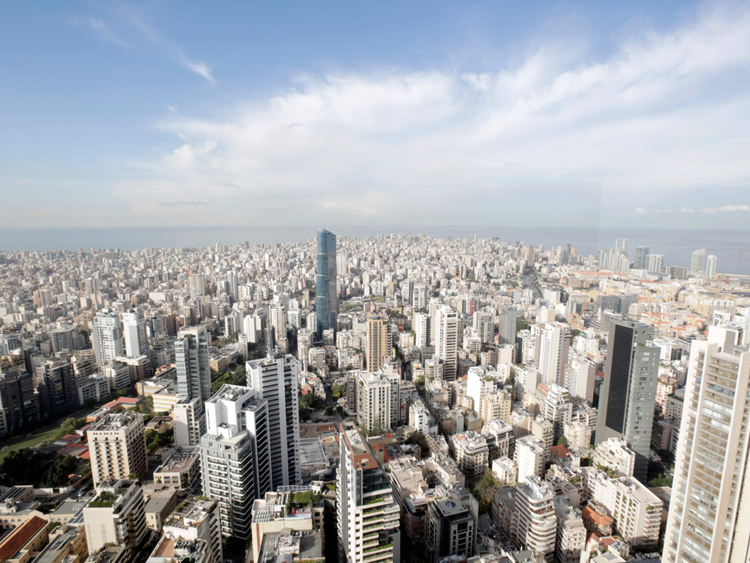 Visitors to Beirut would be hard put to imagine the horrors people experienced during a bloody 15-year-long civil war that led to Syria’s de facto occupation, ending in 2005. Hardly did they breathe sighs of relief when Hezbollah’s kidnapping of Israeli soldiers triggered war with Israel a year later incurring 1,200 Lebanese fatalities, over 4,000 injuries and damaged infrastructure. Hezbollah’s rash entry into the Syrian conflict in partnership with Iranian Revolutionary Guards could easily have seen parts of Lebanon turned to rubble. Even as politicians and dignitaries watched the military parade last week, hundreds sporting T-shirts emblazoned with the words “Our Independence from your Exploitation” were out on the street protesting. They are angry about neglected infrastructure, long electricity outrages, water shortages, polluted rivers and coastline caused by sewage, unemployment levels reaching 35 per cent and the politics of gridlock. In a repeat performance, Lebanon is once again without a government, this time for six months. The stalemate is due to Hezbollah’s insistence on the inclusion of six of their Sunni allies in the cabinet of Prime Minister-designate Sa’ad Hariri. House Speaker Nabih Berri has warned that there is little prospect of a government in the near future as long as Hariri digs in his heels. The unity government he wants is not a facade under Nasrallah’s thumb. Superficially, Lebanon still adheres to a political system bequeathed by the France, known as Confessionalism. In principle political power is distributed among the nation’s major faiths. In practice, Iran via the agency of its proxy Hezbollah calls the shots, especially with regard to foreign policy. Some years ago, I visited Beirut to interview various politicians, editors and other decision-makers; most were critical of Hezbollah in couched language without mentioning the group by name. I gained the impression that they know how to manage the invidious situation without resorting to open confrontation. Indeed, what can they do? Hezbollah holds the firepower and has infiltrated not only the Lebanese military but also the political arena. The infighting is dragging down the economy and scaring off foreign investors as well as donor countries that pledged $11.8 billion (Dh43.3 billion) in grants and loans in April this year. The World Bank warns that donors have lost momentum and may move “a lot of these resources elsewhere”. A tiny nation that hosts millions of Syrian and Palestinian refugees cannot function without outside financial assistance. I find it pretty miraculous how the country has managed to stay afloat given so many serial setbacks. That must take great ingenuity! I do not have to imagine how glorious Lebanon gifted with a wealth of natural beauty could blossom without Hezbollah’s strangulating grip. I visited Beirut in early 1974 during its glamorous heyday. Rightly dubbed ‘the Paris of the Middle East’ Beirut was where the jetset gravitated attracted by its sophistication, grand architecture, extravagant entertainment venues, and an ambience filled with joie de vivre. Kudos to the Lebanese for maintaining their appetite for living to the full despite all obstacles! They deserve genuine independence but they cannot achieve that alone.